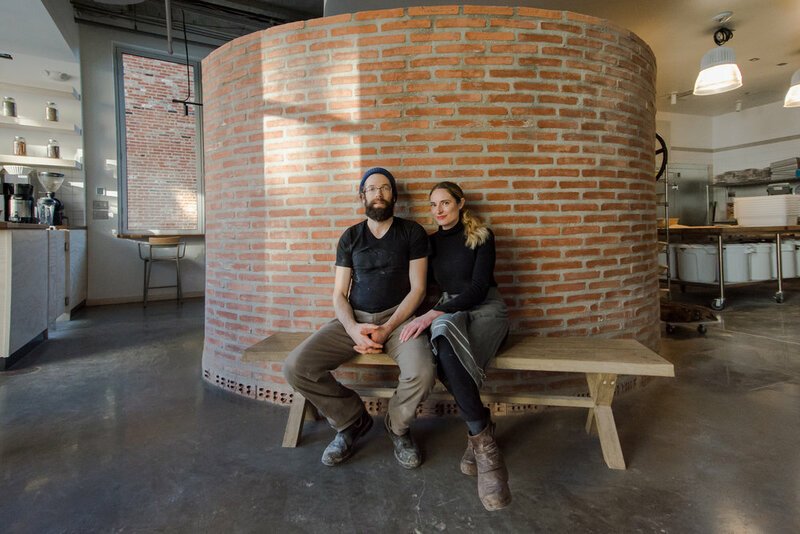 When the "Steve Jobs of Bread" talks about his bread philosophy, you want to listen. SEYLOU Bakery & Mill opened three months ago in the Shaw neighborhood of DC, and the town has been lining up for their bread and pastries ever since. 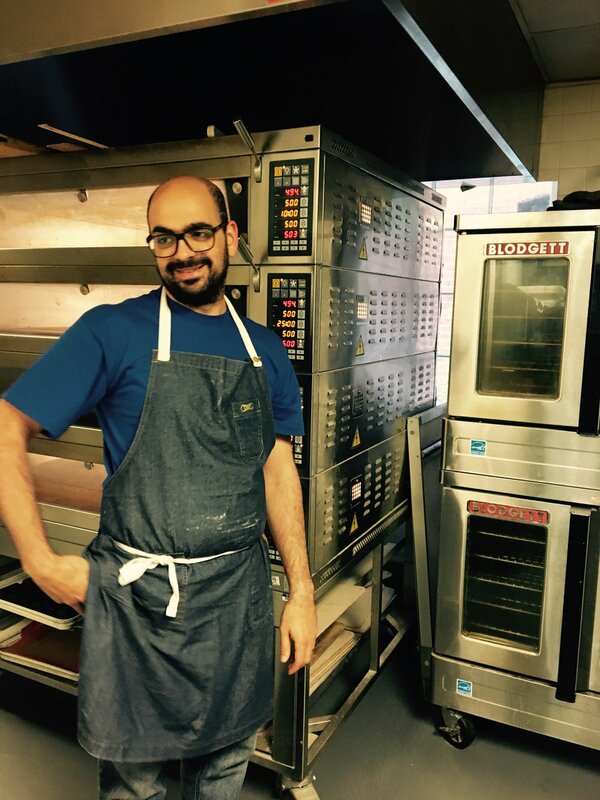 In this week's episode of Lunch Agenda, I interviewed bakers Jonathan Bethony and Charbel Abrache about how they turn whole grains into tasty, chewy loaves of bread and airy, flaky croissants--against all odds! The team describes their "whole farm philosophy", and co-owner Jessica Azeez offers insights about the herbal tea program at SEYLOU's cafe. Baking without white flour. Jonathan said, "Love, life, loss are the teachers. In loss, in not having something, that's what's driven me to refine the whole grain baking technique. When I moved to Washington [state] to work with Steve Jones, he didn't allow me to use white flour. So I needed to get that [flavor] out of the kernel. It fostered a lot of creativity, being restricted in that way." Why SEYLOU makes such an effort to buy grains from farmers within driving distance of the bakery: "One of our goals is to put our money into supporting what is going to support the land for generations to come....What is going to support farmers who are willing to take the pounding of an unpredictable climate....They are close to us, so the money that we give to them goes right into their pocket. I try to minimize the money spent burning fossil fuels, packaging and repackaging. Since we have our own stone mill, we cut one of those links out." Health benefits of a fermented sourdough levain: "As human beings with a short digestive tract, as opposed to ruminants with multiple stomachs...[grain] does need to be broken down to get the most out of it. What we're doing with fermentation is kind of like using multiple stomachs, like mama bird breaking down the food to give to her children. We try to extend the fermentation out as long as possible in order to get the most nutritive value out of it without compromising the structure and flavor of the bread." "I recommend taking five to ten minutes to sit and reflect on your life, meaning and purpose, and how that is manifest through each of your actions, whether how we speak, how we walk, how we earn our living and certainly how we spend our living." "Failure needs to be understood in another way than just being a failure. I was struggling with whole grain, and then Jonathan came back from Senegal and said, 'No more wheat. You've got to use sorghum and buckwheat.' I was just getting used to whole wheat, and now I've got to get used to millet?!" "There are a lot of different herbs that can increase your agni (digestive fire), such as ginger. By stoking the digestive tract, you can absorb the nutrients of the whole grains you're getting at Seylou."